When schools start before 8:30 a.m., kids don’t get enough sleep, which can mean bad things for their health and well-being, say findings published by the U.S. Centers for Disease Control and Prevention and reported by Time. For the study, federal researchers surveyed nearly 40,000 public schools across the United States during the 2011–2012 school year. 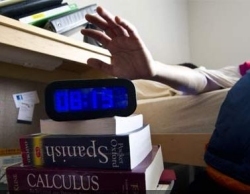 Scientists found that in 42 states, 75 to 100 percent of schools started before the recommended time of 8:30 a.m., with the school day starting, on average, around 8:03 a.m. Experts said these early start times mean children are sleeping less, which could be detrimental to their sleep schedules, development and academic success. Previously, several studies linked a lack of sleep in teens and pre-teens to a huge array of issues, such as higher body weight, lower academic performance and a greater likelihood for substance abuse down the line. 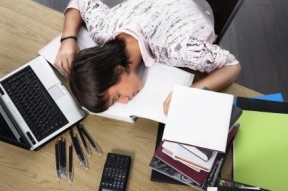 Teens who slept fewer hours also reported more emotional and behavioral issues. The American Academy of Pediatrics (AAP) recommend children get at least 8.5 to 9.5 hours of sleep each night for optimal learning. But fewer than one in five secondary education centers are following this expert advice. © 3435 Chicago Hispanic Newspaper, Lawndale News, Hispanic Bilingual Newspapers, Su Noticiero Bilingue. All rights reserved. XHTML / CSS Valid.